For help with any of your accounting and tax needs, please give us a call (604-531-2292) or review our services page for further information. Listening to your accounting needs to maximize results in all areas of your life! Should you require accountants in the Metro Vancouver Area, look no further than our chartered accountant firm based in South Surrey. We are experts who listen to your needs and apply our knowledge and experience in a manner that everyone can understand. There’s no technical talk from us. We speak to you openly and honestly and want you to feel comfortable to call us whenever you need. We will work with you in the way that suits you – in person, on the phone or online. Whether you are an individual, business start-up, small to medium size business, or not-for-profit, we work hard to assist you to achieve your financial goals. Looking for consulting services? We can help with that too! Kim LaBreche, CPA, CA, is an executive business consultant for LaBreche Consulting. She works in collaboration with vNacelle licensed firms to help business owners accelerate their entrepreneurial growth and business value. 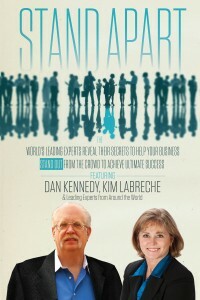 If you have questions about LaBreche Consulting or our expert consulting services, please visit www.labrecheconsulting.com.